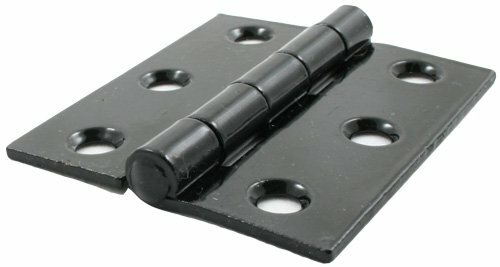 These hinges are ideal for hanging lightweight full size doors or a range of cabinet/wardrobe doors with a minimum door thickness of 31mm. 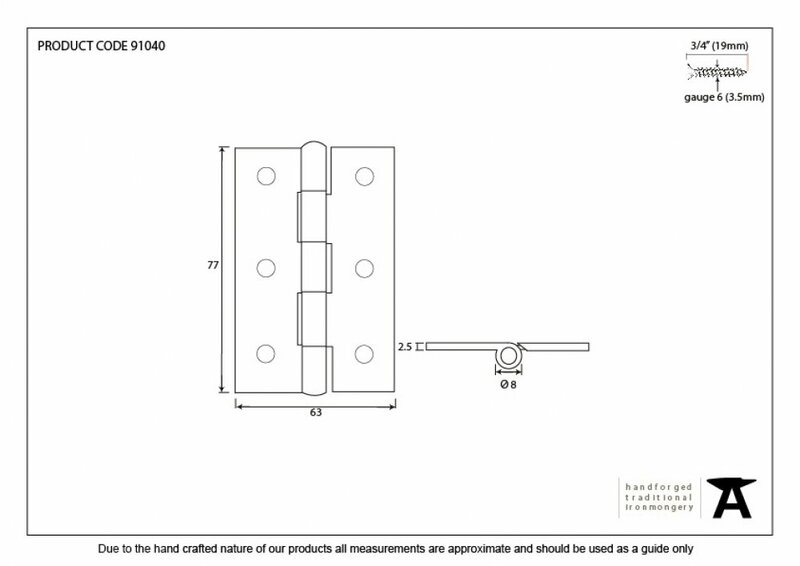 A pair and a half (3 hinges) can be fitted to provide extra strength for heavier doors, Can be used in conjunction with matching hinge fronts. Sold as a set and supplied with necessary fixing screws. 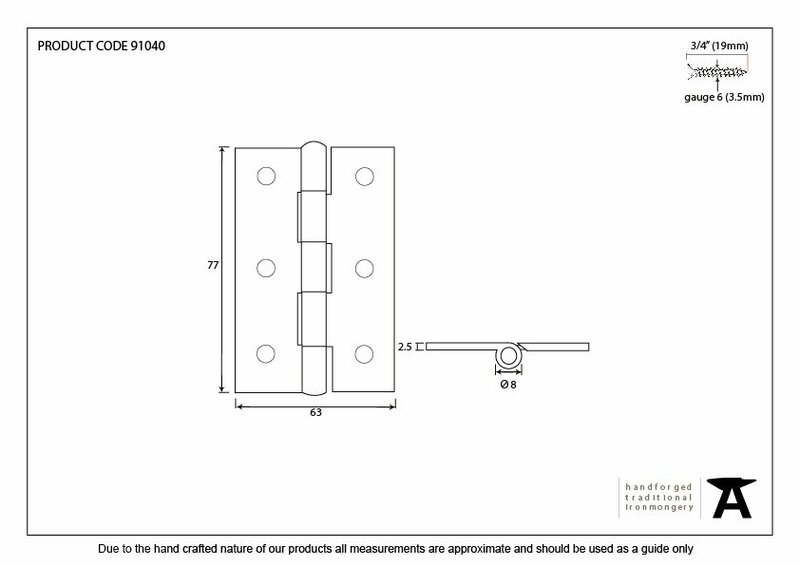 Suitable for internal or external use but maintenance instructions must be followed to preserve the finish of your product. Finished in Black - for more information see the finishes guide here.